Welcome to Day 2 of the DeNami Design Fall/Winter Release Sneak Peeks!! 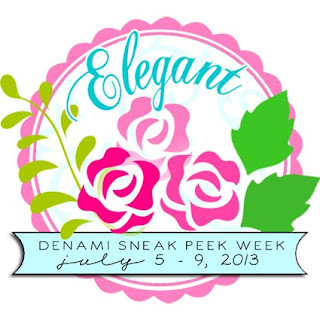 Today DT Members Lisa Elton, Dana Seymour, and Wendy Elliot are giving you sneak peeks of brand-new DeNami stamps about to be released in a classic DeNami category: Elegant! 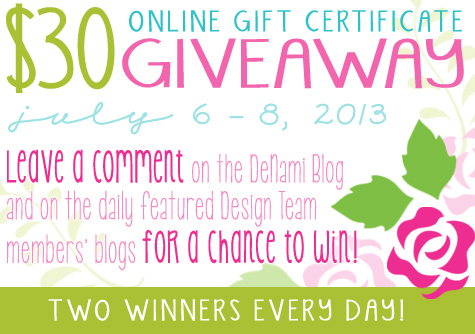 Be sure to visit each of these three DT gals for lots of inspiration, leave comments on each sneak peek blog post, and then head over to the DeNami Design blog to leave another comment to be eligible for a great DeNami gift certificate giveaway! Be sure to come back tomorrow for the last day of DeNami sneak peeks for the new release. We'll be featuring a category of stamps that is brand new to DeNami! It is always fun to win! Great projects and stamps!! Thanks for the sneak peek. 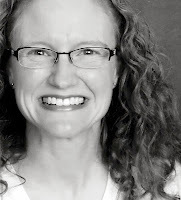 Love to blog hop, so many inspirational ideas. Thanks.